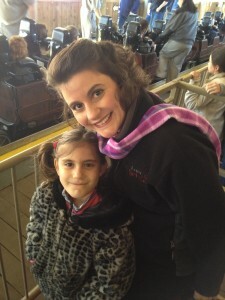 Last week my family enjoyed our spring break in East Tennessee visiting my wonderful in-laws, celebrating my husband’s 40th birthday, and playing at Dollywood, one of our favorite amusement parks in the country. My younger daughter, Miranda, finally is big enough this year to ride on the BIG roller coasters and she was ecstatic! Here we are waiting for our turn on the Tennessee Tornado. We decided to pick up season passes, so we’ll definitely be back for more soon! According to marketing guru Dan Kennedy, one of the most under-used yet highly persuasive tools for any marketer is testimonials. If the reception I received recently at three different Chicago-area meetings is any indication, smart business owners agree. That’s why I decided to teach Testimonial Gold next week, Wednesday, April 10. Save the date and look for more information coming soon to an inbox near you :-). have DIRECT ACCESS to each speaker. Very cool, right? Go Big for free this week only. In case you missed it, my next book, which I have been having a fabulous time researching and writing, is one of my hot projects now. In fact, I set a new deadline for myself. I am publicly announcing I plan to have the book finished by April 30 (GULP!). I’m using this section of my ezine to keep myself accountable and finally get the manuscript done and to my publisher. My goal is to get to 40,000 words (good ones, not just a bunch of baloney to up the word count). So each edition, in this spot, I’ll tell you where I am with my current word count. You may not even pay attention to it, but I’ll know. This week’s word count: 23,795. Looks like I have my work cut out for me! Enjoy and until next time, happy speaking! There are lots of people touting the latest $300 program by a big name marketer based on a whole whopping three months-old blog, which honestly has some good info, but Nicole Dean has been blogging for years and making money at it all that time. In fact, she’s got 26 experts, myself included, who all profit from our blogs and we’re sharing exactly how we do it in Nicole Dean’s new book. Everything you ever wanted to know about blogging – all in one easy-to-read book. Business development? Yes, please! And if you pick it up before April 5, you’ll get some awesome bonuses, too. Woo-hoo!! Grab Blogging for Profit and the bonuses here today. Now, wherever you like to hang out online, you can meet new people, easily and effortlessly. There’s Twitter, Facebook, LinkedIn, Google Plus, Pinterest, and Quora, just to name a few sites where people interact with each other, often in meaningful ways, 24 hours a day, seven days a week, 365 days a year. Before the current crop of social websites, there was Ryze and Yahoo Groups, and various forums for every interest under the sun. Before those, there were Usenet conversation groups, which often centered around those with some technical savvy. However, even with the earliest options to communicate and meet people electronically, that only takes us back to 1980. For me and probably you too, that’s well within our lifetime. In a short period of time technological communications have come a long way, and of course since the mid-2000s, you could even carry all these ways with you in your pocket or purse. According to a 2009 Forbes Insights survey of more than 750 business executives, eight out of ten said they prefer in-person, face-to-face meetings to technology-enabled ones. Those executives surveyed that prefer face-to-face meetings explained their preference by citing how in-person meetings build stronger, more meaningful relationships (85%), the ability to “read” another person, (77%), and greater social interaction (75%). Respondents said face-to-face meetings are best for persuasion, leadership, engagement, accountability, and decision-making. Further, when meeting new people online, you can never be sure who is at the other end of that electronic communication. The mass media is ripe with stories of scam artists taking advantage of everyone from lonely-hearts women and even famous college football player Manti Te’o who fell for an Internet rouse of a faked girlfriend who had a fake death to business scams and scammers in my own professional speaking industry (I wrote an in-depth account of one of the more obnoxious ones on my blog in the summer of 2012. Yet at a face-to-face event, no Nigerian scammer could ever pretend to be a lottery official in the UK, or try to hire you for a fake speaking gig at a real (and unsuspecting) church asking for several thousand dollars for a “work permit” so you can speak there. Be detached from any possible outcome. When you attend a meeting, be open to the possibilities of what might unfold at the meeting and the people who will meet. It’s so much more fun to attend a meeting when you look at it as a way to experience other people. Smile, make eye contact and pay attention to your nonverbal messages. Nonverbal communication is the primary information people draw upon when they make their first impressions of you. Keep in mind the basics and you’ll be well on your way to creating a positive and memorable connection. Focus on the person. 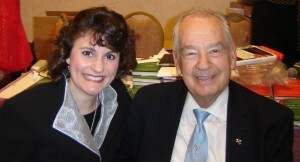 In the spring of 2010, I had the honor to meet and share the stage with the amazing, late, great Zig Ziglar. I like to say he opened for me because he spoke just before I did in the line-up! Before we were both on stage, however, I had the opportunity to sit with Zig and speak to him for a few minutes. It wasn’t long until many people in the room realized he’d arrived and they began lining up behind me to have their chance to speak with him. Zig didn’t pay any attention to them. He was focused 100% on me, asking me questions, and sharing with me some of his much-loved Zig-wisdom. Zig Ziglar was legendary for his ability to shut out all distractions around him and focus on the person he was speaking to. Every person who had the joy of experiencing such uninterrupted attention felt how special it was. You can make others feel special too, just by giving them your full attention and not looking around the room, at your watch, or (gasp!) looking at your smart phone. Have an agenda. When you go to any meeting, think about why you are choosing to spend your valuable time doing that than any of the other 57 things you could be doing instead. Your agenda should *NOT* be to make sales or identify prospects, but rather to find a plumber for your neighbor who complained his sink got stopped up for the third time this year, or something else related to connecting with people, not finding prospects. Do not have ulterior motives. When you meet people and offer something of value to them, do so willingly and freely with no strings attached. Do not expect anything from anyone. The world doesn’t owe you a thing and neither does anyone you meet. Be more interested than interesting. This of course is tried and true advice, but important enough to mention here. You already know all about you. Seek to learn more about another person and be willing to dig a little deeper. Later in the book I’ll share with you a few questions to help you learn more about someone else and get a conversation started. April 5, 2013: Go Big Video Summit, free live series, open to the public. April 10, 2013: Testimonial Gold, free webinar, open to the public. More details coming soon. 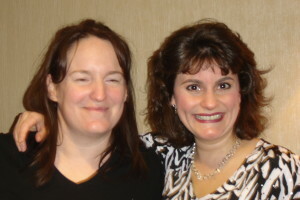 May 7 & 9, 2013: Sponsorship for Speakers with Shannon Cherry. Intensive 2-Day Course. More details coming soon. March-May, 2013: The Get Healthy Summit. Featured Speaker. Virtual training open to the public. September 11, 2013: Chicagoland Holistic Chamber of Commerce, Featured Speaker: Credibility and Cash Flow. If you’re ready to use speaking to market your business, you can be up and speaking in 6 short weeks. Discover how at SignatureSpeech.com. Build a Beautiful Online Presence – with a Point & Click WordPress Plugin! Go see this easy-to-use plug-in and make your life easier so you can focus on getting your message out there instead of trying to figure out all the confusing tech stuff. Instanbuilder can be your secret to a beautiful online presence! I love “Be detached from any possible outcome.” I often tell people that my success has been largely the result of being just smart enough to recognize opportunity when it rose up and smacked me between the eyes. Had I been looking specifically for something else, I probably would have missed it. Thanks for the excerpt. I think the book will be a great success! Like you I’ve had lots of success just showing up and paying attention. In fact something like that happened just this morning! It wasn’t with a stranger, but with someone I did business with. I went into his store a couple weeks ago, and his employees, well, to put it kindly, weren’t very customer-service oriented. I mentioned it to him so he’d be aware of it and could fix the problem, when he expressed frustration. “I can train people how to enter an order into a computer, but I have no idea how to train them to be nicer or how to give good customer service.” I said, “I do,” which led to him getting very excited and hiring me to do two training workshops for his staff.